There are many nuances or factors too numerous to list that can affect value in a Saskatchewan commercial real estate lease renewal. Rental rates are for the most part determined by supply and demand. We may be aware of a space not quite yet on the market that could be ideal for a tenant coming up for renewal. Whether a landlord or a tenant, you want to know about these potential alternative options. We can assemble comparable lease data from various sources that can support our negotiating process. Your position is much stronger if you can present factual recent lease transaction information. Our in-house market analyst keeps up-to-date absorption and vacancy statistics that can help predict which way a market is going. These two pieces of information alone can have a profound impact on renewal decisions. There are terms that can be easily overlooked. If you are a landlord and the tenant has no renewal option, is this the opportunity to roll the lease into a new, more favorable net lease agreement which provides for amortization of capital improvements? Alternatively if you are a tenant, did you think to ask for another renewal option or some building improvements such as new flooring, paint or a free month’s rent? It may be difficult to negotiate your very best position and still maintain a good business relationship with the other party. Real estate negotiation is what I’ve been doing every day for a living for a few years now. We know how to tactfully achieve the desired result without stress or compromising that relationship that you have worked to maintain. 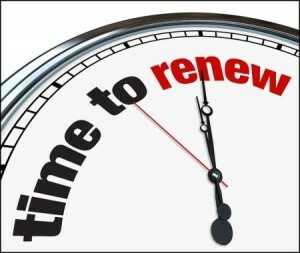 Why not ask us what our brokerage fee is to provide lease renewal representation? I am confident if you engage us you will realize that the investment has been a small price when you consider all the benefits.